SiteBuilder is a website Content Management System (CMS) and Ecommerce System all rolled into one platform hosted by Essent. Designed from the ground up for Search Engine Optimization (SEO) and Search Engine Marketing (SEM), SiteBuilder allows Professional Grade ecommerce solutions to be created and maintained faster and less expensively than any other hosted or custom website. 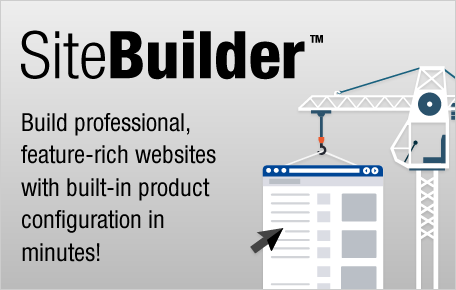 SiteBuilder is a web developer’s tool to design and create widgets, master pages, site pages, a site map and an entire web site. Widgets can be created consisting of HTML, video, flash, tables, or ecommerce components. Widgets can then be dragged and dropped into the various zones to create a page. By using widgets to create pages and pages to create a site map, an informational site can be custom created to meet unique marketing needs. SiteBuilder also facilitates advanced ecommerce with complete integration with order management, inventory, customer relationship management and accounting. Again a web designer can use SiteBuilder to customize the look and feel of the ecommerce experiences while providing the professional shopping cart experience expected. Page content can be modified or managed by any administrative person and is as simple as using Microsoft Word, without the need for programming or technical knowledge. SiteBuilder is fully integrated with the Essent Compass Business Management System. Information between both systems are automatically synchronized. Even when your system is unavailable, the web storefronts continue to operate. Out of the box, SiteBuilder will meet the majority of the identified needs and many more not yet discussed. It is important to note that SiteBuilder is a Website Content Management System foundation that is designed to facilitate custom configuration. In other words, SiteBuilder can be tailored and enhanced to meet the customer’s needs. The only other related commercial alternatives would be traditional PC-based Integrated Development Environments, which don’t allow direct web-based management nor offer functionality for direct integration with Compass. SiteBuilder is based on industry standard technologies widely used throughout the world and supports compliance with the Payment Card Industry (PCI) Data Security Standard (DSS). SiteBuilder websites operate in a clustered web farm, offering redundancy, high-availability, and scalability. SiteBuilder Subscription Plans scale from low-volume private company stores all the way to enterprise-grade advanced ecommerce with thousands of products, orders, and concurrent visitors. Advanced Ecommerce Storefronts offer the flexibility and scalability to meet the robust needs of an industry leader. Advanced functionality fits the needs for a unique branding impression for a distributor, retailer, or valuable customer. 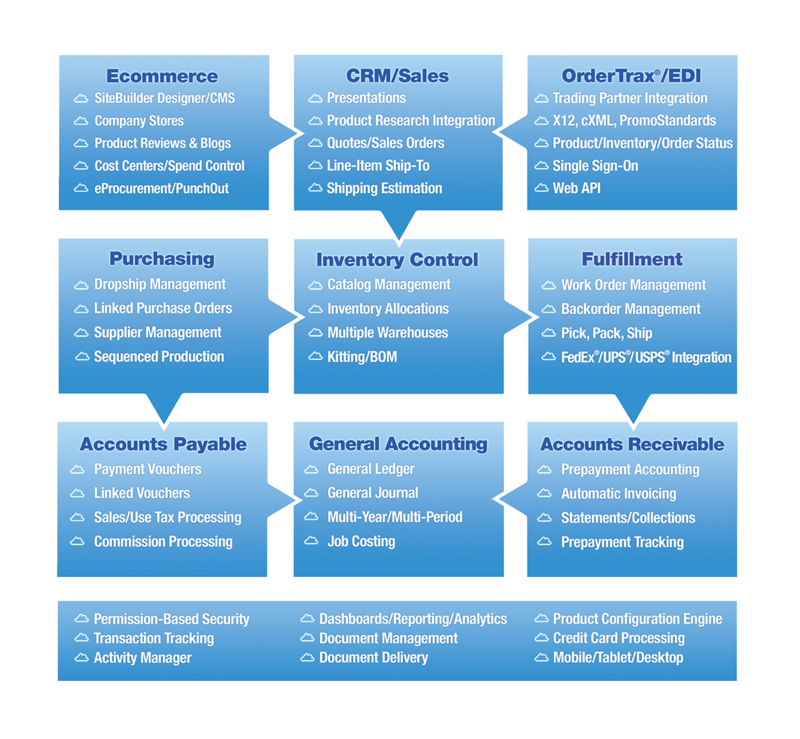 EDI integration including PunchOut catalogs is exclusively available with Advanced Ecommerce. Platinum Advanced Ecommerce: Scalable to the most advanced retail experience. Includes 10,000 products, 1000 concurrent shoppers. Starts with 3Mbps of bandwidth and 50 GB of storage space. Gold Advanced Ecommerce: For large-to-advanced ecommerce experiences. Includes 5,000 products, 500 concurrent shoppers. Starts with 1.5 Mbps of bandwidth and 25 GB of storage space. Silver Advanced Ecommerce: A great start to professional-grade ecommerce. Includes 1,000 products, 100 concurrent shoppers. Starts with .5 Mbps of bandwidth and 10 GB of storage space. Bronze Advanced Ecommerce: Another great start to professional grade ecommerce. Includes 500 products, 100 concurrent shoppers. Starts with .5 Mbps of bandwidth and 1 GB of storage space. Company Stores offer professional sites uniquely branded for your customers. Premium Company Stores have a flexible Content Management System (CMS). Premium 250 Company Stores: Designer for large-scale customer branded catalogs. Includes 250 products, 50 concurrent shoppers. Starts with 1 Mbps of bandwidth and 10 GB of storage space. Premium 100 Company Stores: Designer for mid-sized customer branded catalogs. Includes 100 products, 50 concurrent shoppers. Starts with 1 Mbps of bandwidth and 10 GB of storage space. Company Stores can be template-driven to offer the ability to duplicate the template to quickly and simply set up a site. Standard Company Store sites do not include CMS. Standard 50 Company Stores: Designer for the average customer branded catalogs. Includes: 50 products, 25 concurrent shoppers. Starts with .5 Mbps of bandwidth and 7 GB of storage space. Standard 25 Company Stores: Designer for the average customer branded catalogs. Includes: 25 products, 10 concurrent shoppers. Starts with .5 Mbps of bandwidth and 5 GB of storage space.